A ski slope inspired coot cuff from the Alpine Design series. Need something to wear to the ski slopes? Here is a crochet pattern for boot cuffs in the Alpine Series – coordinating patterns for ear warmers and fingerless gloves also available. These boot cuffs are perfect for our cold days ahead – or as a Christmas gift for someone special. 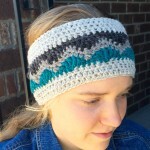 Part of the Alpine design series – Boot Cuffs, Hat, and Ear Warmers, Fingerless Gloves patterns. They are approximately 6.5inches tall. Circumference is 12 inches and will stretch 1-2 inches beyond that comfortably if needed. 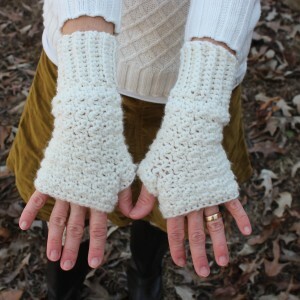 Instructions include how to increase or decrease size of finished boot cuffs. Advanced – you need skill at using multiple stitches and changing colors. 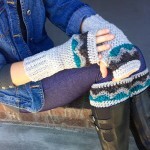 You’ll need an H Crochet hook and your favorite medium worsted weight yarn. I created these boot cuffs using worsted weight merino wool from Mountain Meadow Wool.